What’s it like in a MotoGP pit box? Moving in between the cases and neatly arranged boxes at the back of the garage is already like threading a path ‘backstage’. We are in a dark Losail for the opening round of 2017 MotoGP™ and what is the first memorable chapter of yet another significant racing story for KTM. The factory team may have made a ‘wild card’ appearance at Valencia for the 2016 curtain-closer last November but now over a year of testing and preparation – and with star riders Espargaró and Smith finally onboard – have come down to this; the initial blast of track time and discovery. 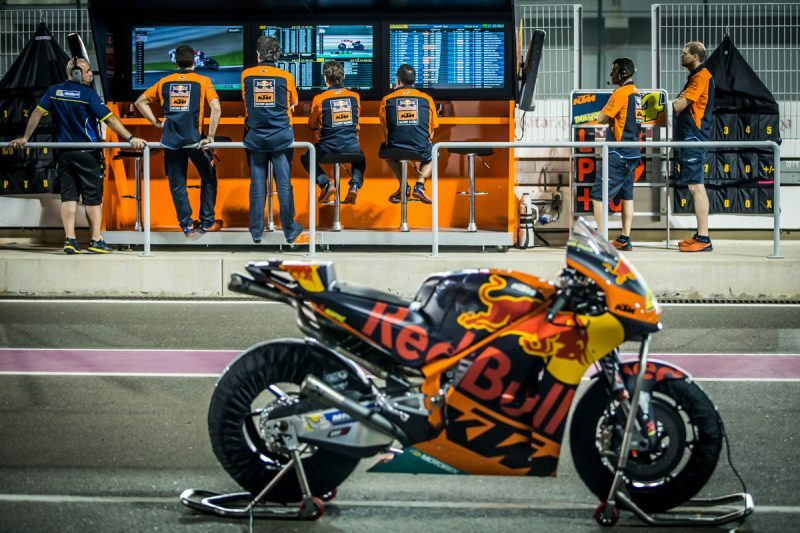 We move past the large rack of Michelins suspended in ‘warm’ state thanks to the lights blinking on the tire warmer sheaths and various spares and components of the KTM RC16 stored and ordered around the confined space in the Losail pit lane area. 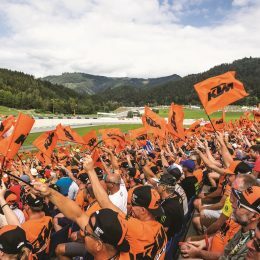 The glow of orange panels quickly becomes prevalent as the clink of tools, the hubbub of activity and the echoey and deafening rasp of MotoGP™machines hurtling down the main straight permeates the garage setting. We pass a long desk of five staff tapping on laptops and fiddling with data readings and stand in the center of the pit box trying to keep out of the way of headphone-clad mechanics and technicians moving, roving and constantly active. Spotless Beta cabinets, tool draws and workstations form the physical structure of this small and private world. To our right the #44 motorcycles of Espargaró stand in state, the Catalan audibly shouting feedback in his small corner. To the left only one of Smith’s #38 bikes is prone; the other is missing and being abused around the Losail curves. The area is brightly lit and almost quiet under the noise of the race bikes outside that either thunder past at speeds of 340 km/h or roll gurgling into the pit lane. The mechanics – a dynamic part of this team that numbers almost forty people in total – converse through microphones with stealthy efficiency. On the board to our left is a TV monitor with the live feed from the track. To the right another large screen with the lap-times and intervals. Suspended in the center is another cluster of LEDs with all possible information on the KTMs, their rivals and circuit conditions. We are not alone. Cameramen, WP specialists, Michelin personnel, Motorex representatives and rider management also hover in the void and watch the glow and numbers on the TVs. There is movement on Smith’s side of the box. Two mechanics head out. One waves to the approaching rider to indicate where to halt and the other grasps the KTM RC16 as the Brit brakes, stops, cuts-out and dismounts. The bike is wheeled backwards into the garage and propped on a stand. The rear end is just a couple of meters away; the motorcycle is smoldering heat and energy, and gives off a strange smell: like a combination of melting rubber and burnt popcorn. 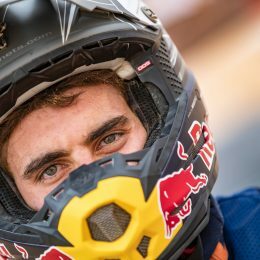 Data readings are taken as a sweaty Smith wanders out of view and to his seat for more comments on the bike’s maiden run at race-pace. 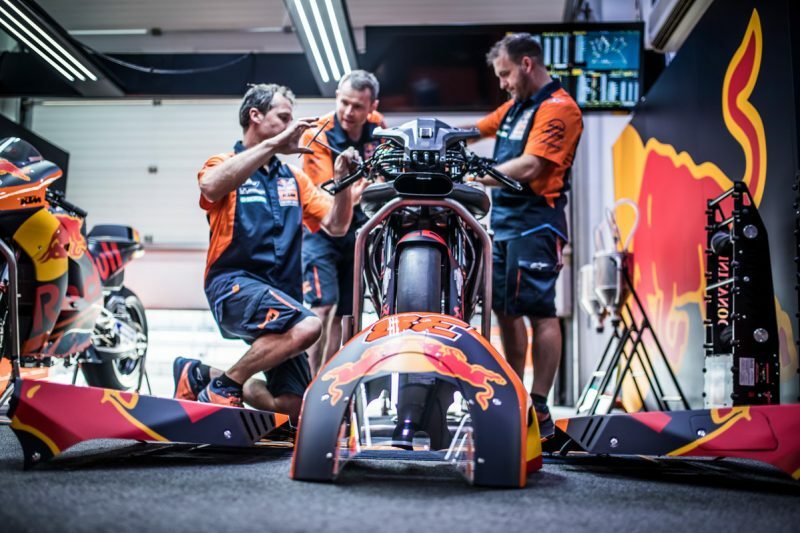 KTM are fighting a battle to shrink lap-times but the work ethic and organization on display is that of an experienced and slick crew, rather than that of a ‘rookie’ effort. Espargaró rises and walks to his ‘steed’ with an audible click as his helmet visor is snapped down. Around nine people on his side of the box part to provide room. The KTM RC16 is roared into life with a starter device, the bike bumps to the floor and the Catalan disappears into the night. Smith is seated for no more than five minutes as the clock ticks down and a tire change is made. The bike is ready to go again and we have to put our fingers across our ears as protection against the works screamer engine. The Free Practice counts down and the realization of the little time that MotoGP™ teams have to refine their setup for a race two days away feels very clear. It is at these crucial moments under a stopwatch that all the strain, expenditure, theories and practice come together. The chequered flag brings an end to proceedings and Espargaró is back first. His #1 machine is pushed onto a bench and a large fan is slid underneath the fairing to cool it before a dissection is performed and tweaks are considered for the second outing the next day. As Pol removes his helmet and talks to the gathering of his crew around him, including the attentive Sport Director Pit Beirer, the garage door is pulled half down. 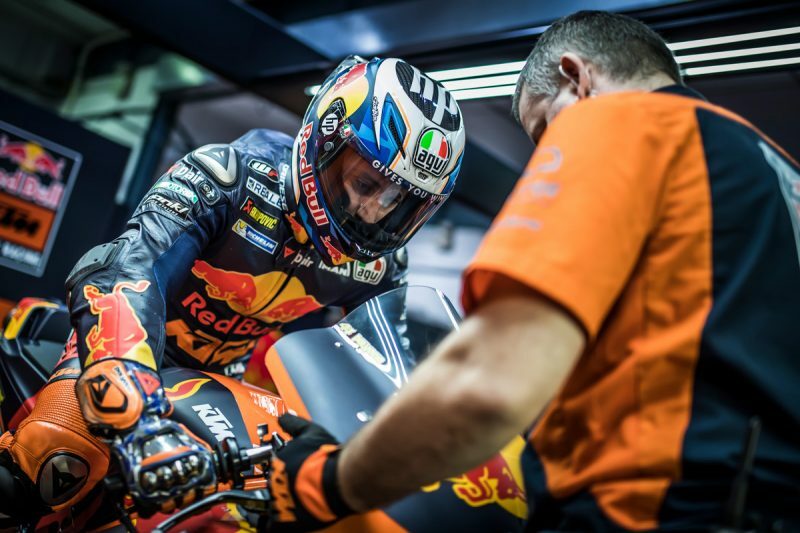 The remaining tasks for the team this evening now lie ahead; the first of many challenges for KTM in what is sure to be a landmark term in the hardest and highest-profile stage of two-wheeled competition. 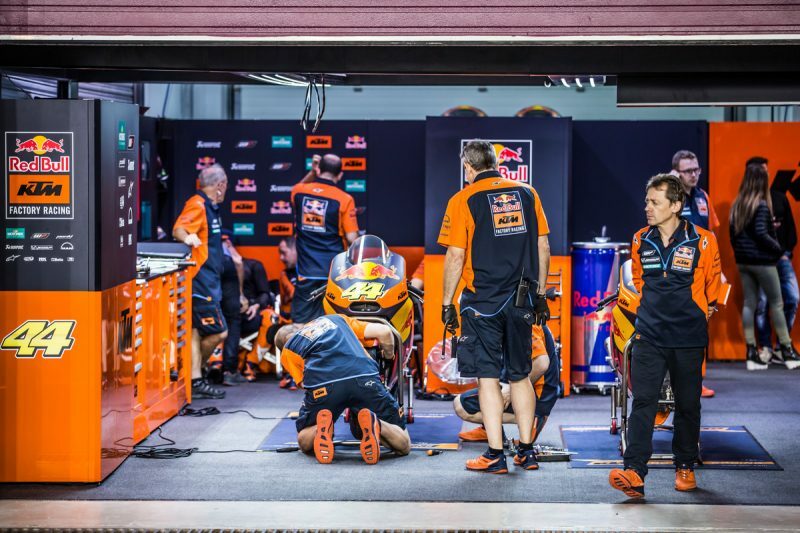 12 Responses to What’s it like in a MotoGP pit box? Amazing ! 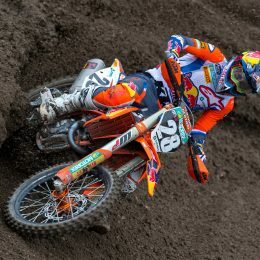 I really like Moto Racing especially when the performance is so high. Thank you for your essay.